Linwood Bible Chapel is located right in the centre of Linwood, Christchurch. 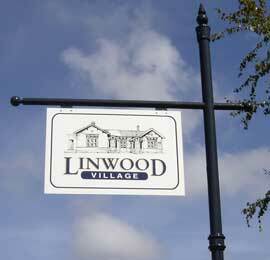 The City Council have recently decided to give this area the name "Linwood Village". To see a map of where we are click here. The New Zealand Department of Statistics keeps census data on our neighborhood. Click here to see it. It shows an area with real physical as well as the spiritual needs. There's plenty of opportunity to show and receive God's love here. We are blessed to live in a place with many cultures and races. God sets the challenge, and it's up to us to follow Paul the Apostle to "press on to take hold of that for which Christ Jesus took hold of [us]." A better way would be by email to: enquiries, secretary, or elders. Material for our weekly newsletter/bulletin can be sent to news.